One of the things that sometimes puts people off trying rag rugging for the first time is the thought of having to commit to finishing an entire rug. 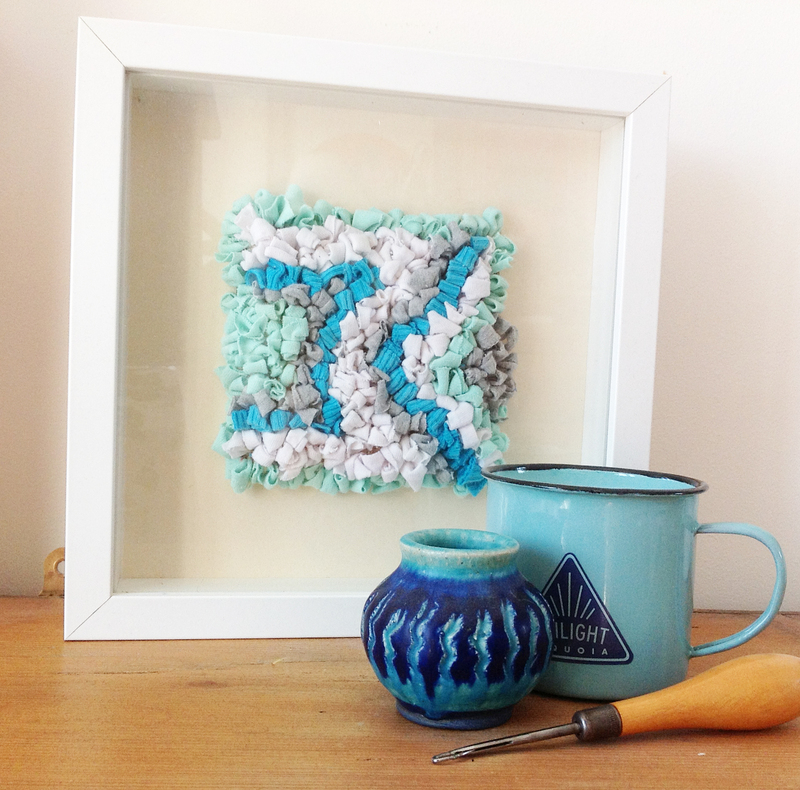 Well we’re here to tell you that rag rugging doesn’t have to be a labour of love and even the smallest of pieces can look very effective. Now there’s no excuse not to pick up a latch hook and get ragging! Carefully take the mount out of the frame and place it front down onto the hessian, leaving at least 10cm of excess hessian on each side of the inner square. 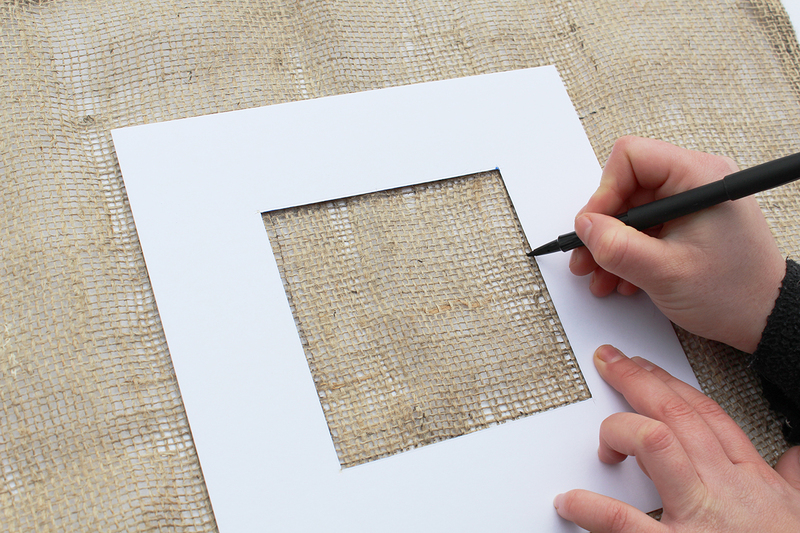 Draw directly onto the hessian, marking out the inner frame of the mount. Be careful not to mark the mount and if you’re worried about the surface below the hessian then place paper underneath. We don’t want you to ruin any lovely tablecloths! You will now have a small square drawn onto your hessian. This is the space that you will be rag rugging. 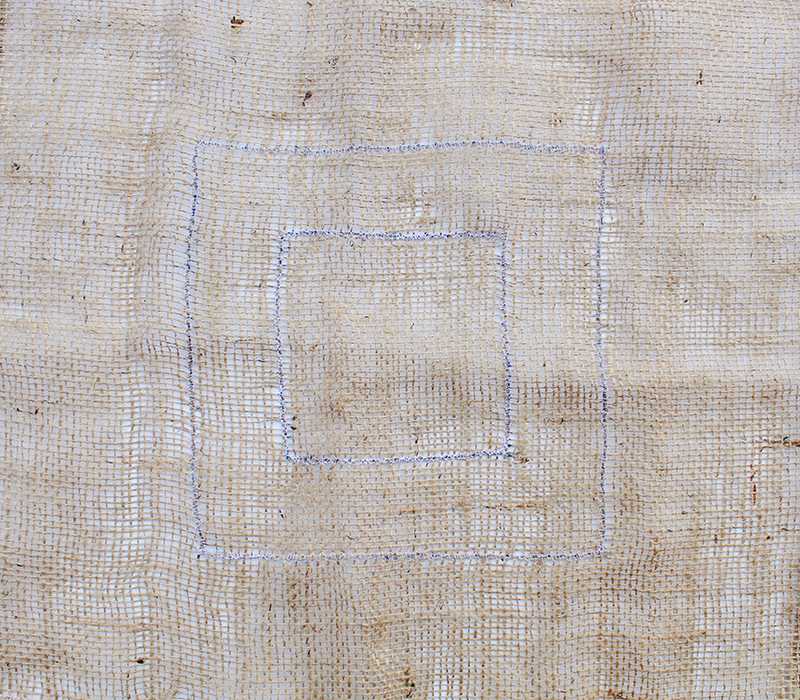 The next step is to draw a second square onto the hessian, 5cm away from each side of your initial square. 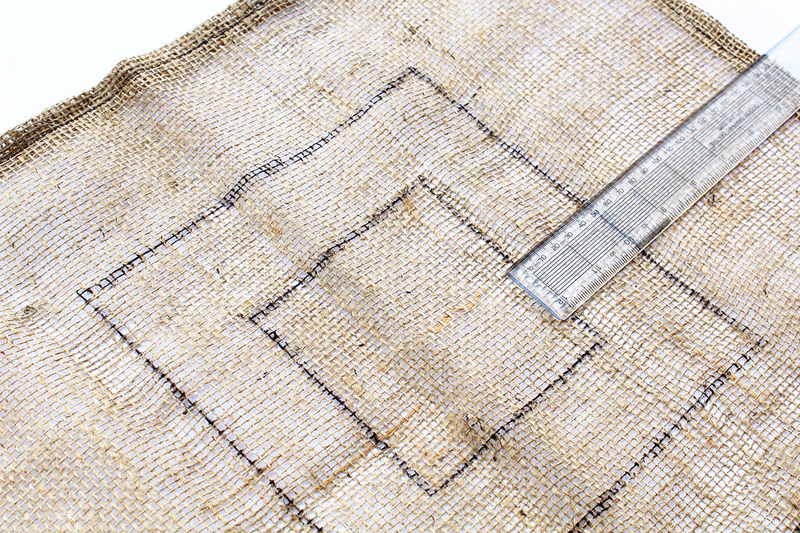 Now sew along both squares using a stitch that will hold both the horizontal and vertical strands of the hessian in place. 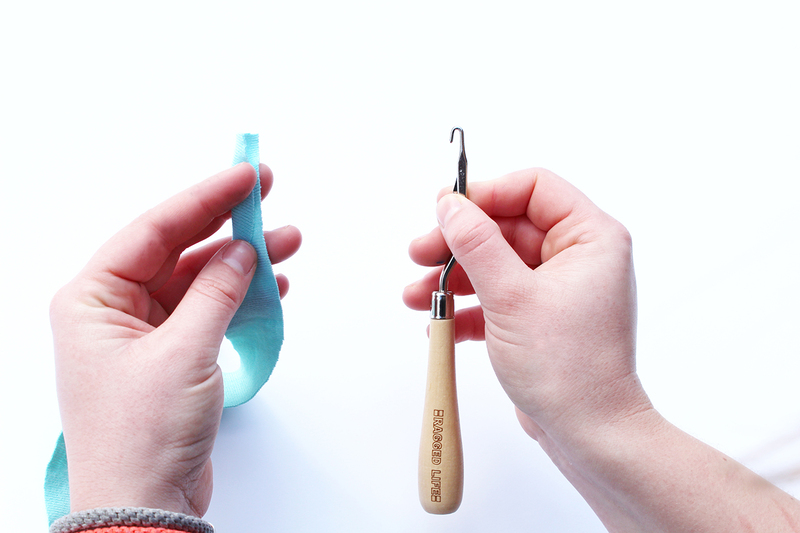 This will help your work to stay intact later and creates less mess. 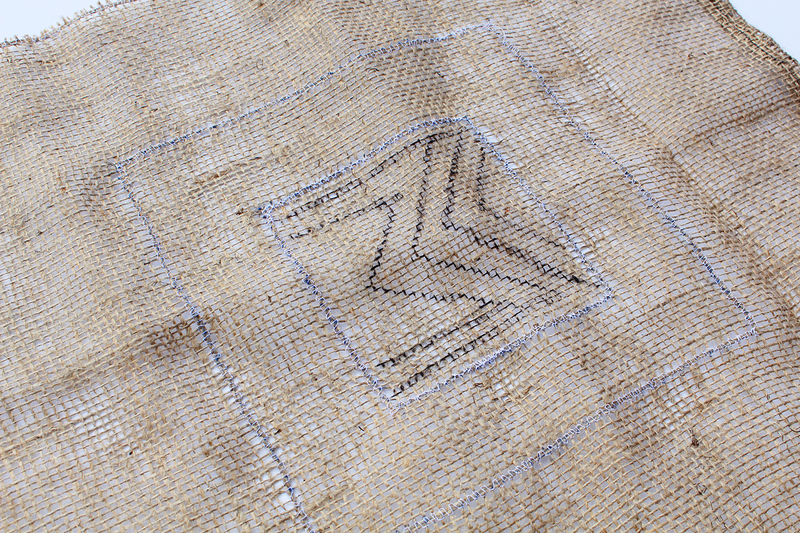 If you have a specific pattern in mind, it’s best at this stage to sketch is directly onto the hessian. 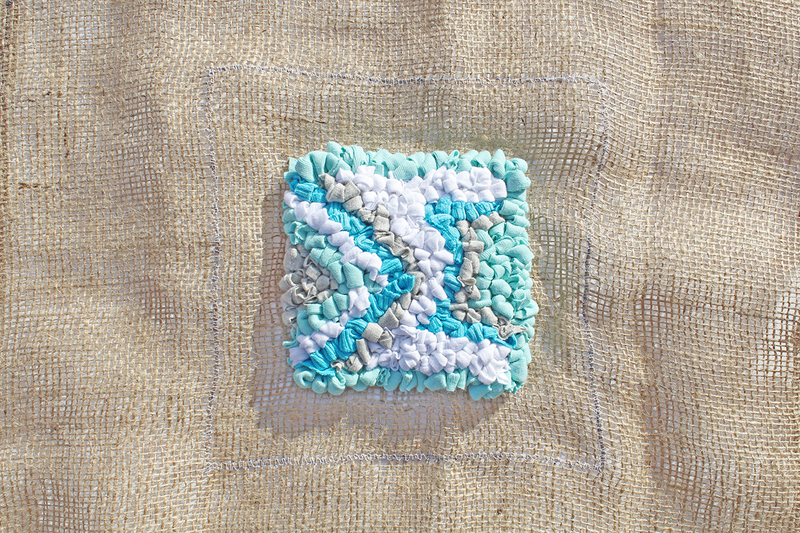 Make sure you stay within the stitched smaller square. As the area we are looking to fill isn’t that large, you won’t need to cut up a whole t-shirt, only what you need. You can even use the seams of t-shirts in your rag rug. If you plan to do this just make sure that you cut any strip including a seam slightly narrower than normal (we recommend 1.5-2cm) to compensate for the thickness of the seam. 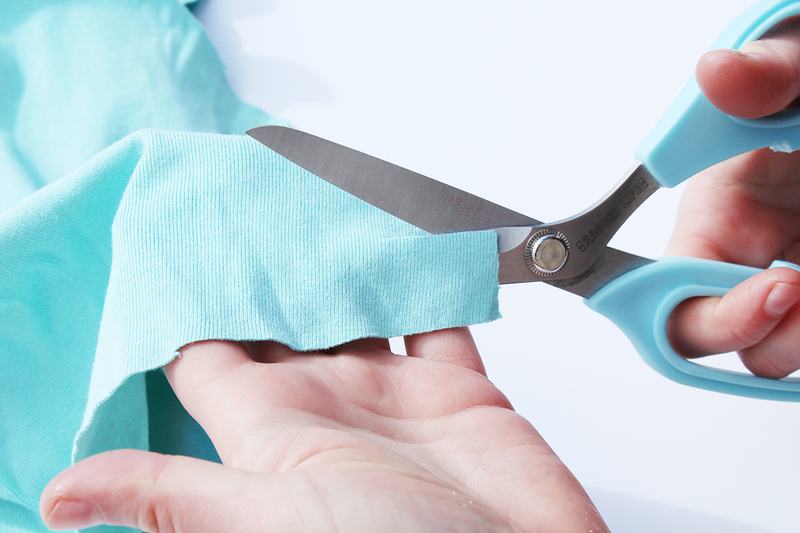 If your chosen material looks likely to fray then cutting it on the bias (at an angle) will lessen the risk of fraying. Now you’re ready to get rag rugging! Pick up your latch hook with your main hand and hold one of the strips of fabric in your other hand. Hold the strip of fabric under the hessian where you would like to start and use the hook (inserting front to back) to pull one end of the strip up through the hessian. You should have approximately 1.5cm of the strip poking upwards. 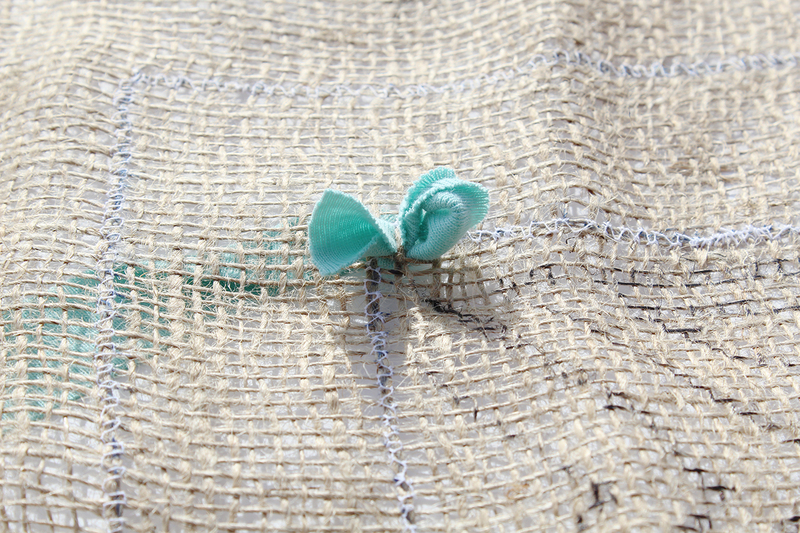 Insert your hook (from front to back) into the next hole and pull a loop up through the hessian. Make sure that the end of the strip does not get pulled through when you do this. The new loop should be the same height as the initial end (so roughly 1.5cm high). 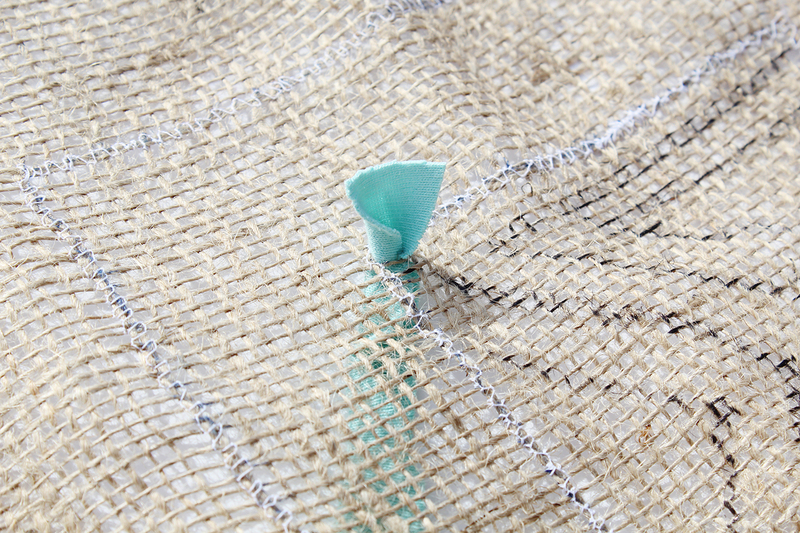 Missing out a hole in the hessian, insert your hook into the next hole and repeat step 9 until you have a row of loops in the direction you would like to go. When you’re reaching the end of a strip or would like to start another piece of fabric, pull the end of the strip up through the hessian and cut to 1.5cm. 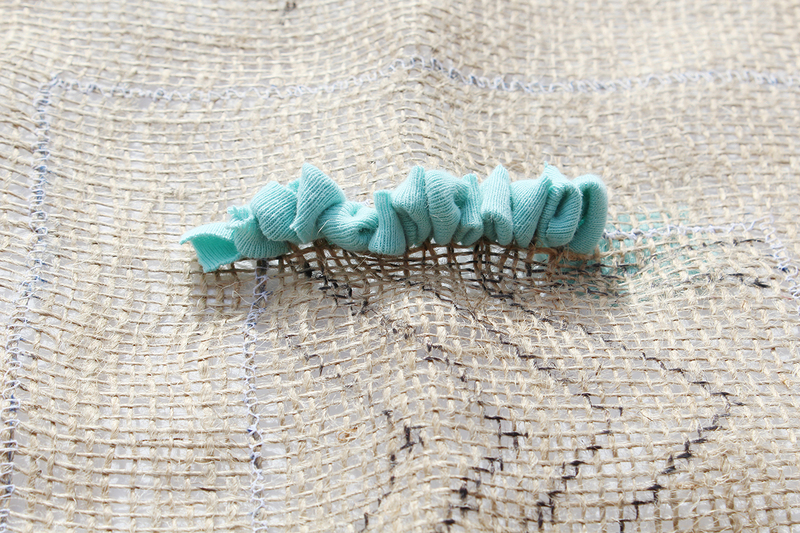 All the ends of the strips of fabric should be pointing upwards in the end as this secures the fabric in place. 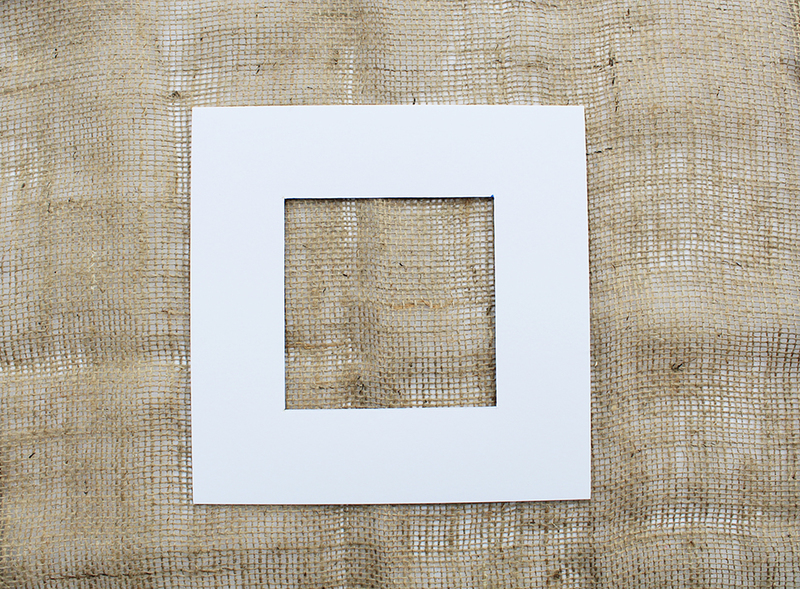 You’re now ready to put your art into its frame. 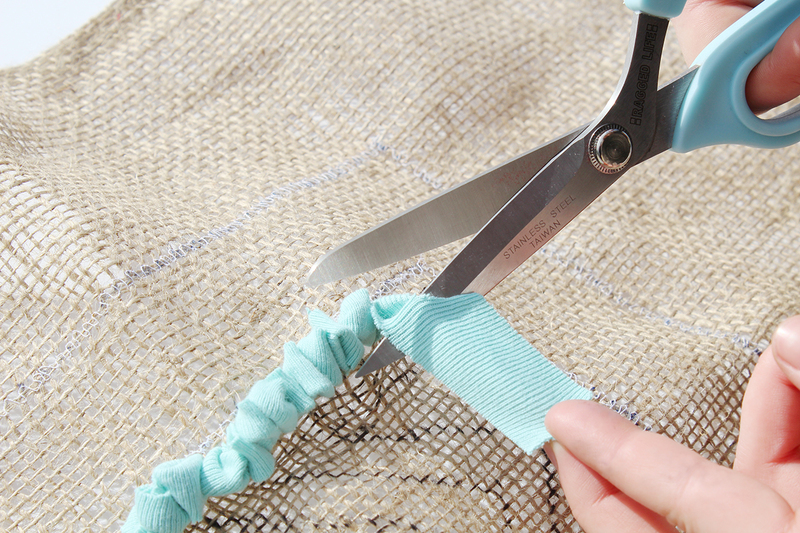 Cut carefully around the edge of the larger square with your everyday scissors (hessian blunts fabric scissors) until there is no excess hessian. 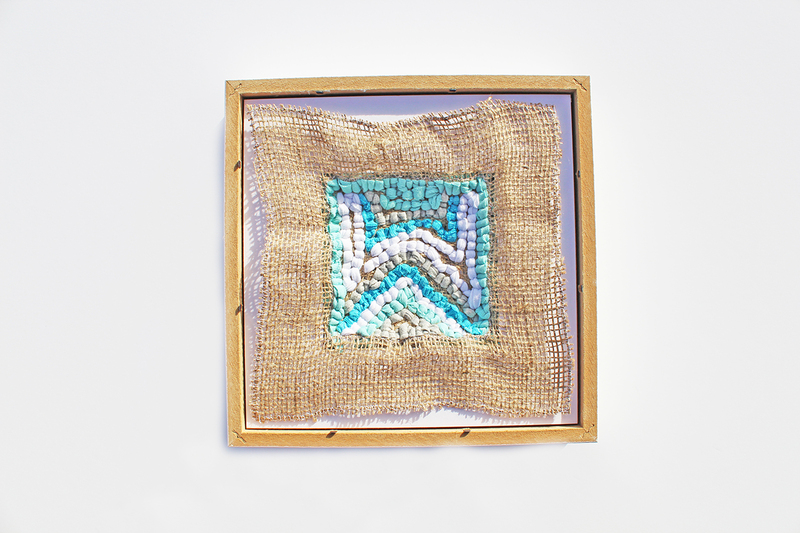 Place the rag rug art into the frame, pressing it through the mount. 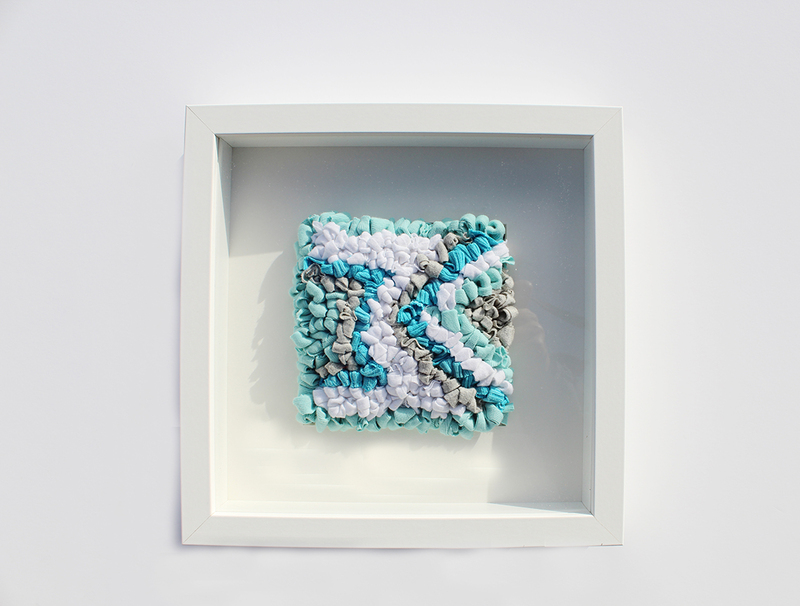 And voila – one piece of Framed Rag Rug Art! 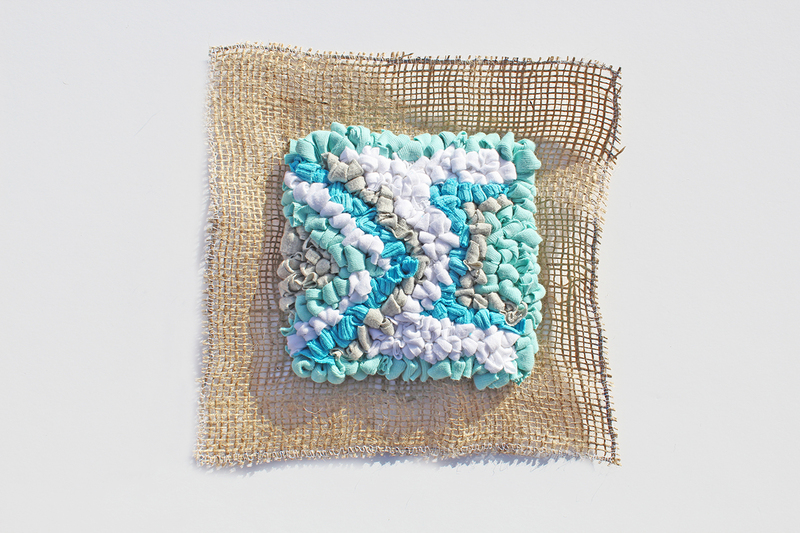 We hope you enjoyed this tutorial and for more inspiration, tips and rag rug projects, check out our other how to articles. This entry was posted in How To & Tips, How To Projects, Rag Rug Art and tagged 2015, Blue, Rag Rug Art, Rag Rug Tutorials. Bookmark the permalink. 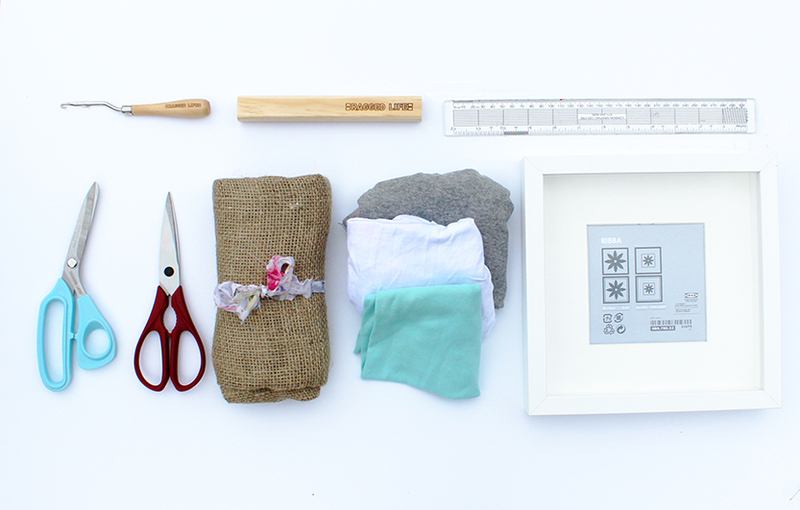 ← Where Do Our Charity Shop Clothes End Up?